A rather tame adult Green Heron apparently locally known as "George" in Oranjestad harbor, August 2006. 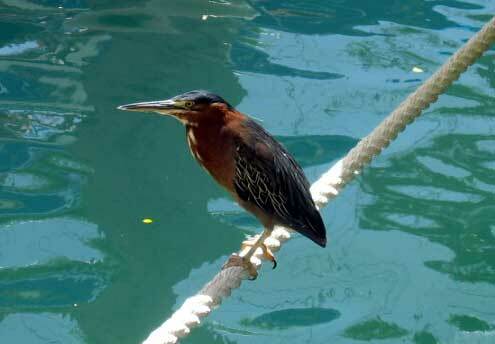 This is a note sent to us recently that came along with the attached picture above showing an adult Green Heron. Linsey was kind enough to let us share it with you. We were told that he is called "George" and that he lives there... could you tell me what kind of bird he is?